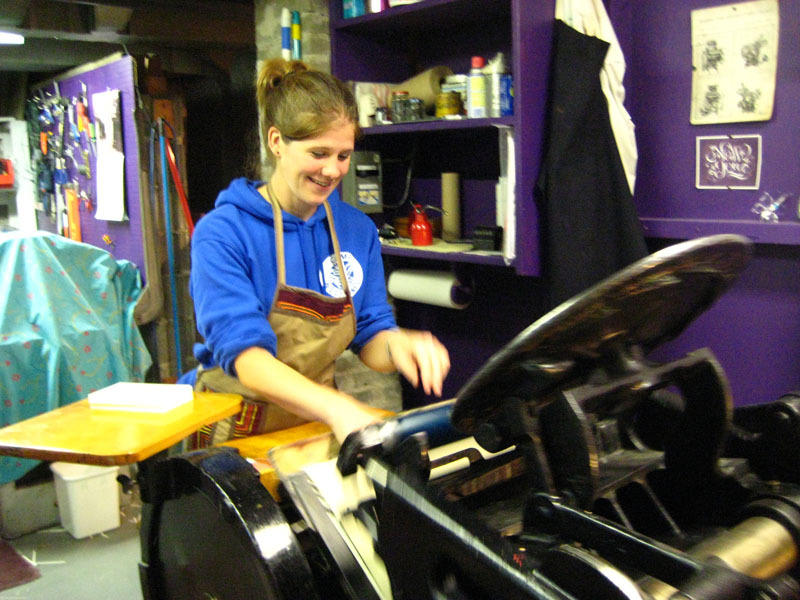 Merci to Katrina and Roxanne for another great Papillon Press workshop this past weekend! I encouraged them to mix typefaces and use ornaments, and the results look fantastic! We printed 4×6 cards of different paper stocks in green ink. Are there any printers out there who have any information about French typefaces and if the lay of the typecase is different in French than in English? Roxanne stumped me with this question. 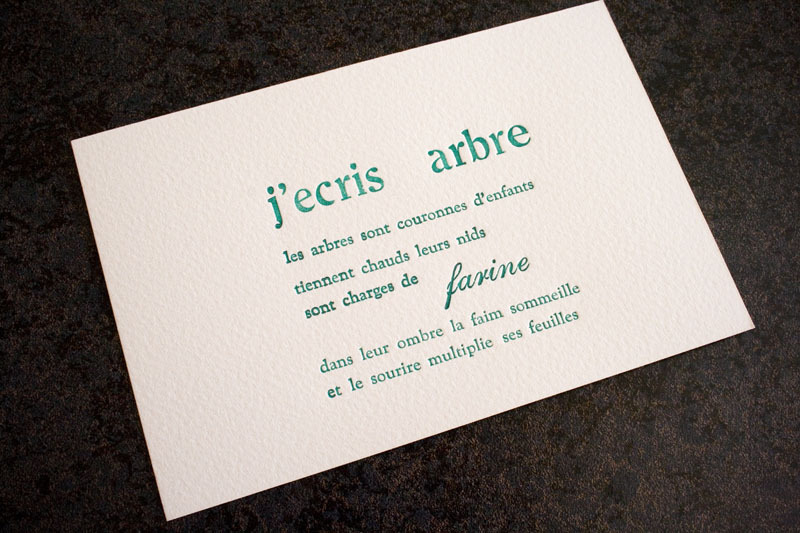 I’d be interested in acquiring French type, if that even exists. 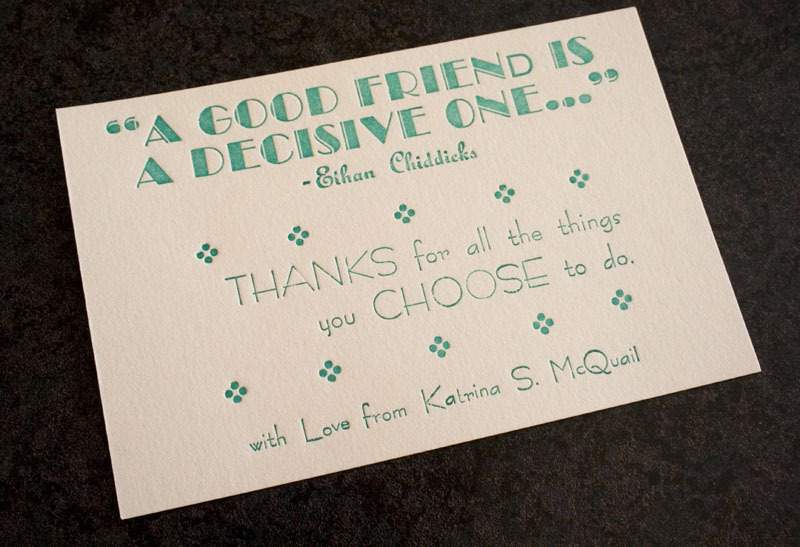 Katrina's final product has a very retro feel to it. Roxanne's final product en français is missing the accents, but has a very classic, bookish look. To join one of our workshops, visit our workshop page. 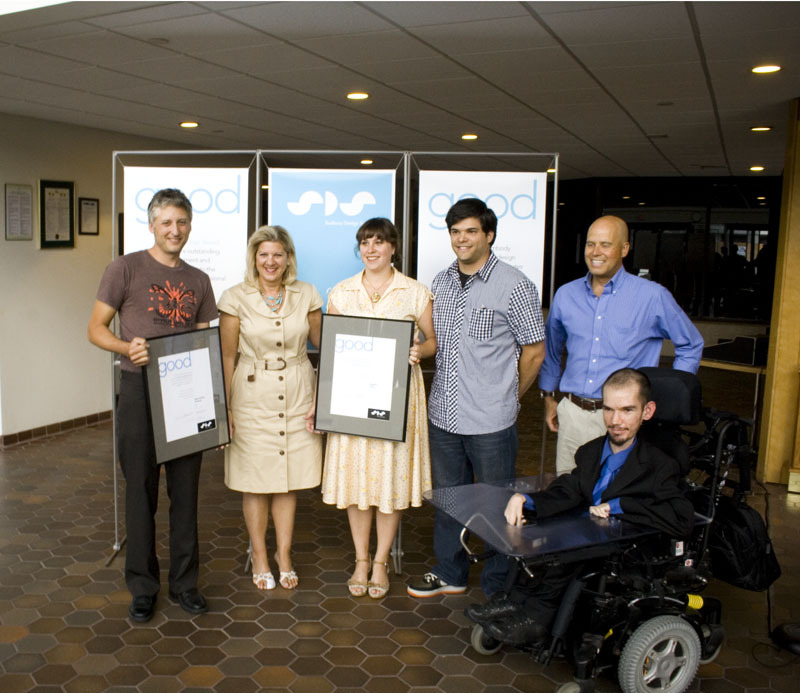 We would like to thank the Sudbury Design Society, the Northern Ontario Heritage Fund and also our families for all the support they’ve given us over the years. We are very grateful for this award, thank you. 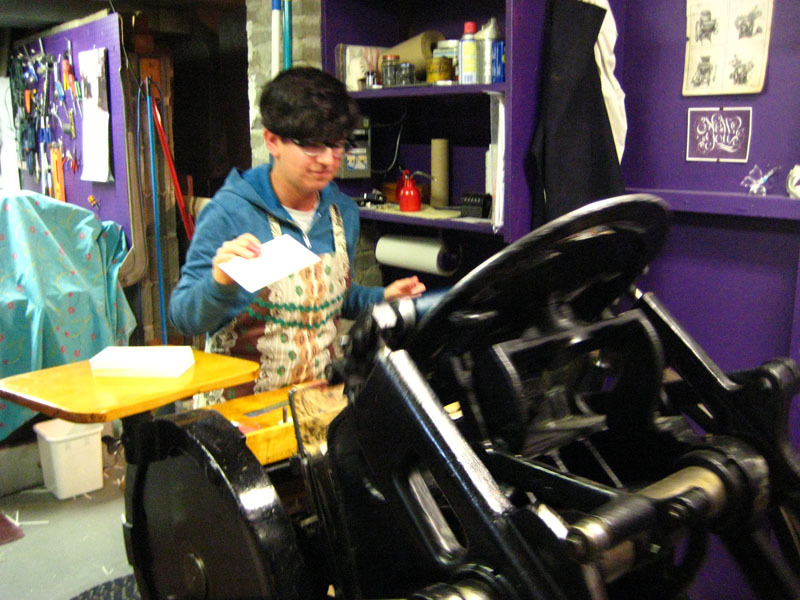 Joel and I made the decision long ago to make our livings being illustrators, he with editorial and I with letterpress, and while it’s not always easy it is ultimately the most rewarding for us. Art and design in a society are 2 very important things that ensure a culturally vibrant place to live. On a municipal level, it is what makes a city a great city and a destination for others to visit. It’s important for people in creative industries to be surrounded by other individuals also in creative industries and we hope the creation of this award will highlight the importance of art and design in this city and encourage younger generations to stay and pursue their creative ambitions in Sudbury. 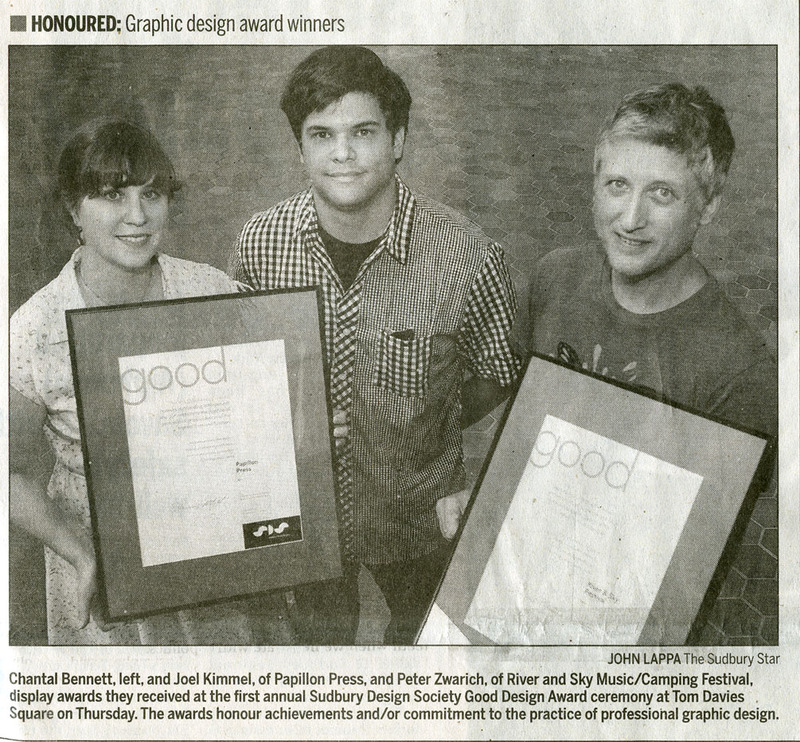 We’re glad that there is now an award in Sudbury that celebrates the importance of art and design. Once again, thank you. We are grateful for the recognition.